Recent water quality testing undertaken within Lake Hugh Muntz has indicated an increase in Algae Biovolume. The most recent graph and further information can be found on the City’s Lake Hugh Muntz Website. 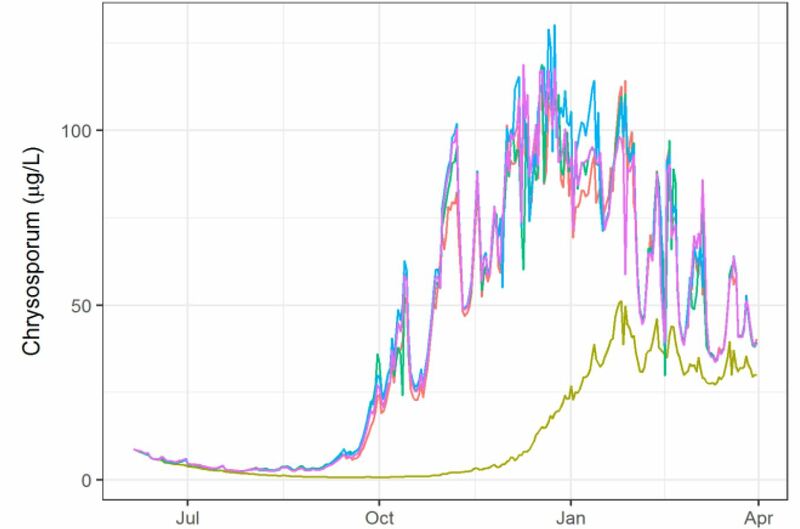 The recent hot weather is not helping and is most likely the cause of the sudden spike in algal biovolume. A possible reason for two locations having higher biovolumes could be attributed to windblown algal accumulating at these locations. Next sampling will be undertaken on Tuesday 29th January 2019 for cyanobacteria identification and biovolume. The “Study of Management Options to Mitigate Algal Blooms” in Lake Hugh Muntz has been made available to the public. The report from the Griffith Uni Experts released to GCCC in August last year can be viewed on GCCC website on the Lake Hugh Muntz page through the link below. In Summary, the short term solution is to manage the blooms through treatments such as Phoslock and hydrogen peroxide. Unfortunately GCCC do not currently have equipment to treat with hydrogen peroxide. Computer modelling has indicated that the installation of Aerators would give the best result in reducing algal blooms. Our report does not provide any additional information on catchment management options because its purpose is to review and propose in-lake options for managing algal blooms. However, we note that ongoing evaluation of stormwater volumes and nutrient loads is required and that the success of these will determine the longevity of in-lake management options. Conceptual models showing the state of the lake in 2008 (Management Plan), and a scenario of a transition to a eutrophic system highlighted the potential outcomes that could occur with continued excess nutrient inputs, such as algal blooms and fish kills. It is clear that some of the anticipated issues identified in 2008 have come to eventuate in 2018 and that more active management intervention actions are required. Water quality of Lake Hugh Muntz has deteriorated markedly over the past 15 years. Once management actions are adopted at the whole lake scale, an idealised scientific approach of a single action followed by observation(s) is not generally possible or desirable, and the approach should be to adopt multiple management actions concurrently. For example, if a geoengineering material (Phoslock etc) was applied within the lake, then catchment management actions should be adopted concurrently, to maximise the duration on which the geoengineering treatment was effective. In the shorter term, managing blooms using interventions within the lake is likely to be the most cost-effective option. Our lab analyses showed positive effects, both for the application of hydrogen peroxide and PhoslockTM but other chemicals (e.g., PAC) may have complementary effects related to additional inactivation of phosphorus. It is important to note that the application of hydrogen peroxide is only an intermediate solution and will not solve the underlying cause of cyanobacteria blooms (i.e., the combination of high nutrients and the shallow freshwater lens in the lake). Simulation scenarios indicated that complete overturn of the water column through installation of a bottom aerator (i.e., artificial destratification) was the most effective remediation method but it is very expensive and would elevate nutrients and salinity in the surface water layer as well as maintaining particulate material in the water column for longer periods of time. This technique may result in little change in water quality although it would reduce the incidence of surface blooms. initiating mesocosm experiments in the field, trialling the effectiveness of hydrogen peroxide and PhoslockTM under natural conditions. This will then demonstrate whether hydrogen peroxide is effective for C. ovalisporum at concentrations tested in the laboratory and minimising the effect on other algae and animals. Additionally, Phoslock trials will test how effectively the compounds reduces phosphorus concentrations in the water column, and caps the sediment. water quality model runs to test adequate dosages and timing of application to avoid spending unnecessary resources and/or achieving sub-optimal results. laboratory measurements to better understand the growth requirements and toxin production of C. ovalisporum isolated from Lake Hugh Muntz. This is a poorly studied species so the literature is not helpful for the modelling questions. Additionally, the isolates Lake Hugh Muntz will be locally adapted to specific salinity, temperature, light and other conditions. This information is crucial to effective modelling. Lake Now Closed -For the Third Summer in a Row! Signs below have just been placed around the lake indicating closure of the lake again! 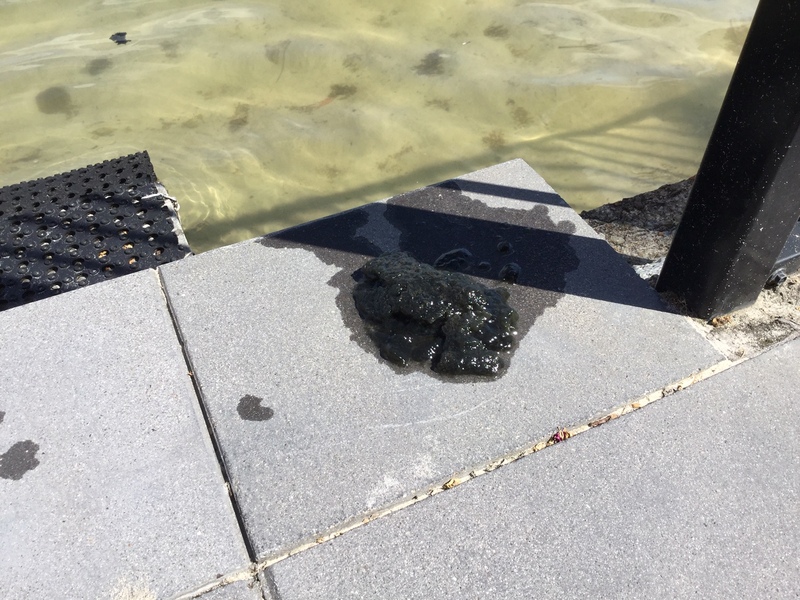 Prior to the recent Phoslock treatment in early December, algae readings were increasing indicating the start of yet another Algal bloom. With the previous closure lasting 9 long months the BIG question is how long will the lake be closed this time? Only time will tell if the Phoslock trial will reduce the length and severity of the current algal bloom. Despite Councils Action Plan Timeline indicating the revision of the Management Plan in November there is still NO plan on how Council intends to address the long outstanding water quality issues. Lake Close to Closure- Again! 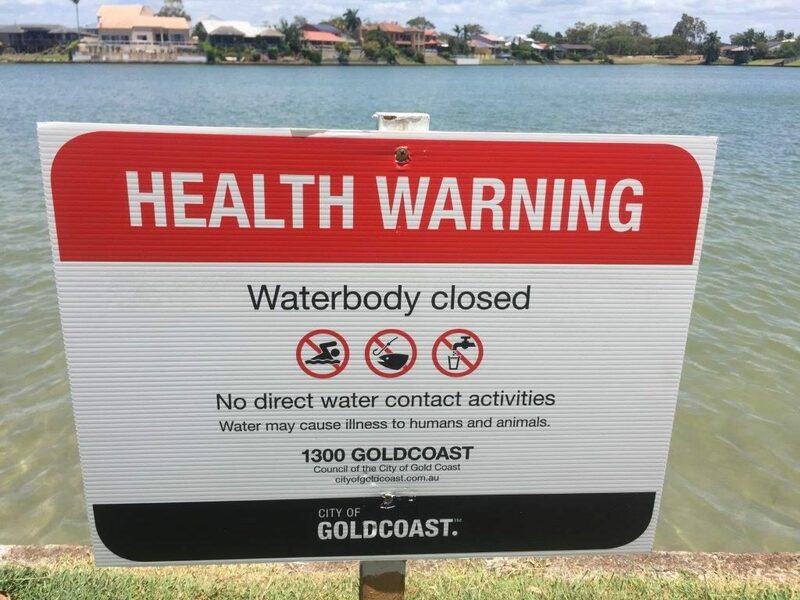 Have received information from Council that recent water quality testing undertaken within Lake Hugh Muntz has indicated an increase in Algae Biovolume. Council is currently testing the water on a weekly basis. This information is in line with the current observations of reduced water clarity and the lake turning a green/brown colour. Will provide further updates on progress when received. Residents Not Happy With Councils “Blame the Residents” Statements. 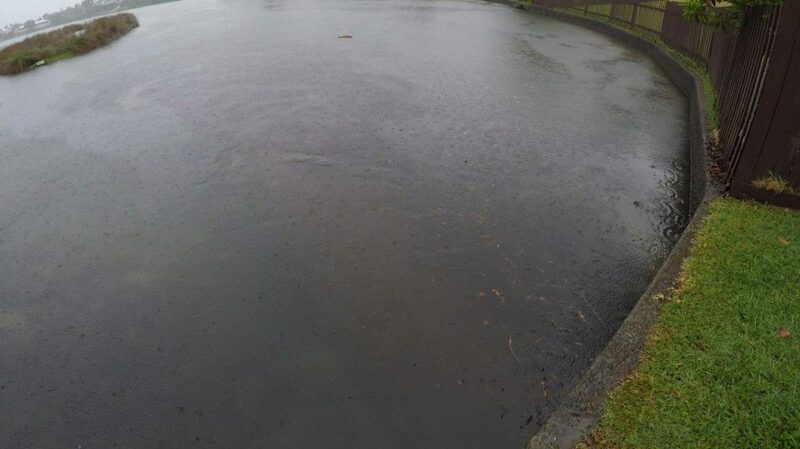 Local residents have recently received your Division 10 Newsletter and the Lake Hugh Muntz Care Group and local residents have raised concerns about the statements you are making in relation to what is causing the current issues in Lake Hugh Muntz. Statements which insinuate a ‘blame the residents only’ approach being communicated in your newsletter is a very disappointing reflection of your lack of support. A survey of lake front properties indicates that there are very few grassed or unfenced properties that would be the main cause of this issue. Lake front properties are well maintained with lawns mown with catchers. As you are well aware since 2012 the LHM Care Group have been educating residents on the importance of minimising any impact on the lake, including voluntary bans on fertiliser use. 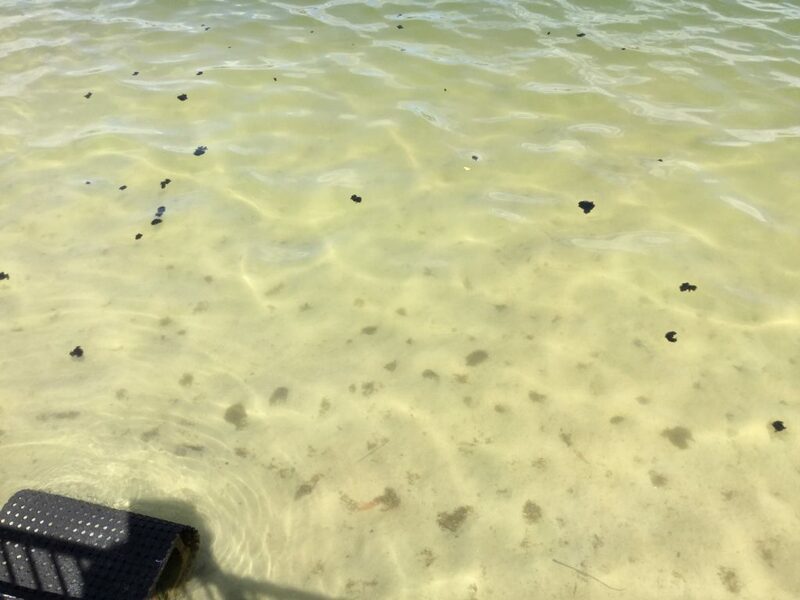 Residents feel that the areas of greatest concern are the Park areas were GCCC workers use mowers and whipper snippers with all the clippings going directly into the lake and secondly the areas where there is considerable soil erosion which also ends up directly in the lake. Where are your statements to the community that reflect that the GCCC is also accepting responsibility for the impact that their current management and maintenance practices have on the issues facing Lake Hugh Muntz? 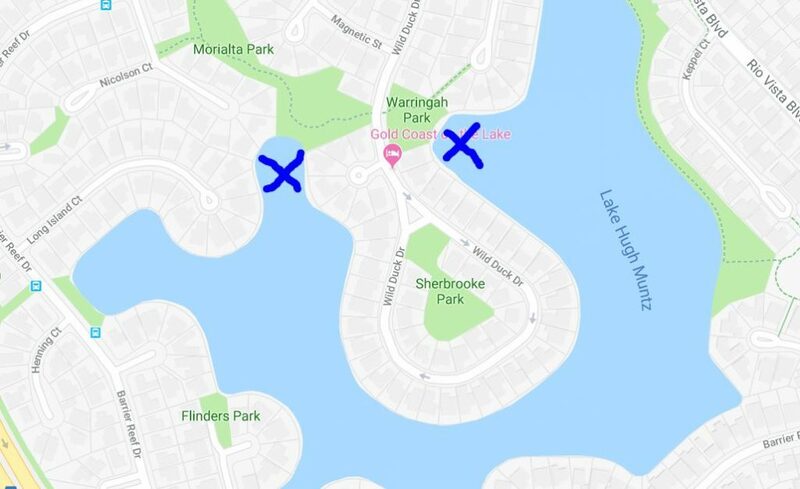 What are you doing to proactively ensure that GCCC develops Park Maintenance Practices that will minimise the environmental impact on Lake Hugh Muntz? A budget of how the $100 000 allocated for rehabilitating Lake Hugh Muntz will be spent. We will welcome an opportunity to discuss with you in detail what steps you are actually taking to proactively support and encourage the GCCC to ensure the long term future of Lake Hugh Muntz as a highly valued community asset. Lake Hugh Muntz is one of the most valuable environmental and community assets located on the Gold Coast. It will be a very sad indictment on your track record as a representative for the community in Division 10 if you don’t prioritise and show support for ensuring that Lake Hugh Muntz is saved for future generations to appreciate and enjoy. Regards: Lake Hugh Muntz Care Group. Great to see the recent rain but unfortunately this has washed soil into many areas of the lake on top of the recent Phoslock application. 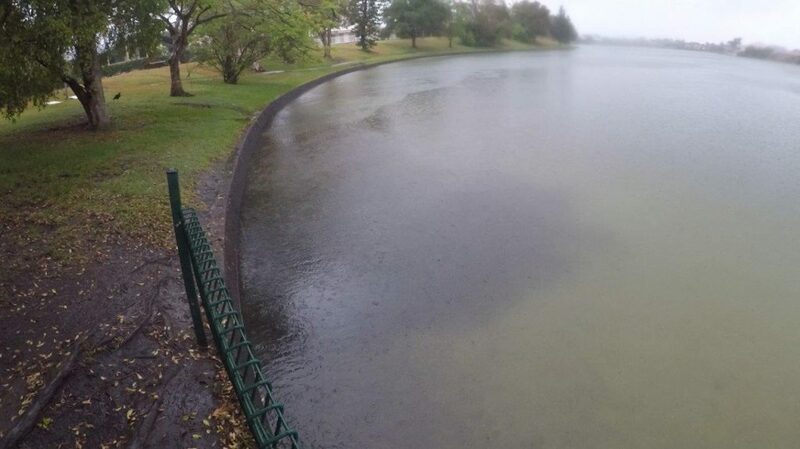 Soil together with leaves, lawn clippings etc added directly to the lake are only going to add nutrients to the water that feed the algae and reduce the effectiveness of this expensive application. It is important that GCCC and residents accept responsibility and take action. 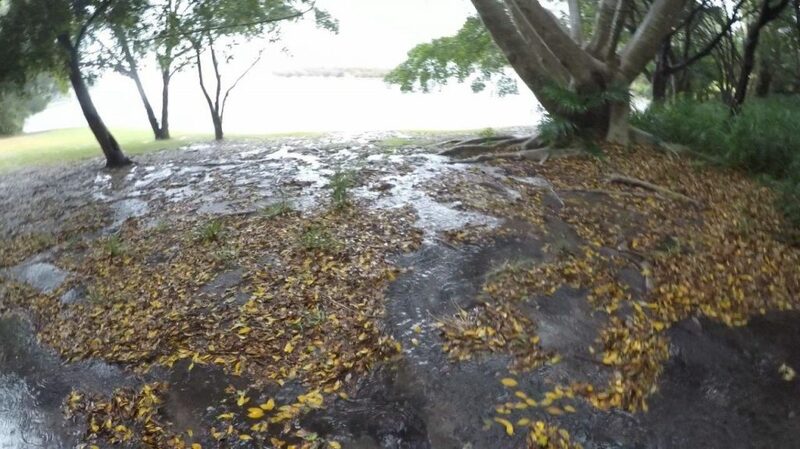 Minimise any erosion of soil and lawn clippings entering the lake by ensuring adequate maintenance of lawn areas, mowing of lawns with catchers and erosion control measures to reduce this damage. 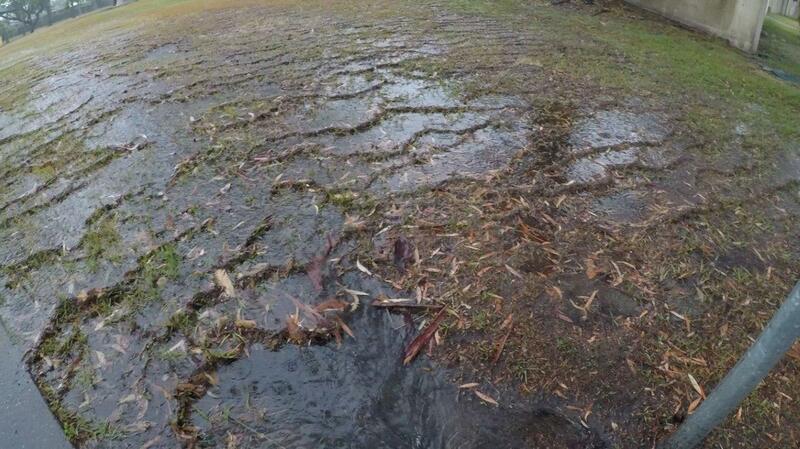 Photos below of some of the problem areas. The Phoslock treatment of the lake is progressing and the even spread of the product is important to provide the best possible outcome for the lake. To ensure an even distribution, please adhere to the Councils signage and do not enter the water this weekend! Whole Lake to Receive Phoslock Treatment Next Week! Some great news with a trial of Phoslock to begin next week! This trial will involve a whole lake treatment, not just a small trial area.This could not of come at a better time with the latest water quality results indicating an increase of algae in all areas with the lake possibly heading for closure in the near future. Phoslock has been highlighted by Griffith Uni as one of the key products to offer possible improvements to the condition of LHM. It should be noted that due to many variable factors, there is no guarantee that this treatment will provide the desired results. 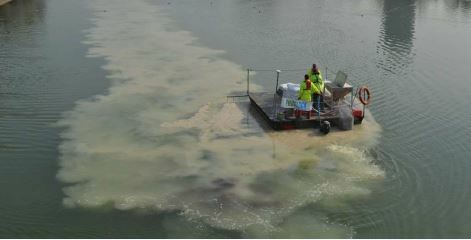 The treatment will involve the spreading of Phoslock to the surface of the lake by boat. The treatment will take time to settle to the bottom. As a result the lake will be closed all next week and signs will be erected notifying the public. The challenge now is to implement an effective Management Plan to ensure that any improvements are maintained to provide long term improvements in water quality for the benefit of all lake users. From experience, nothing every happens quickly in Council! 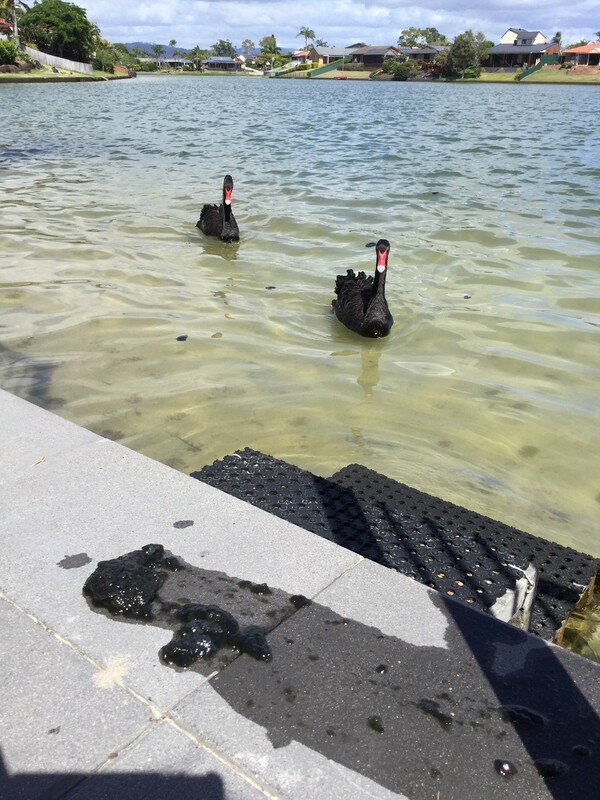 Council should be commended for getting this major treatment implemented before the next algae outbreak with special mention to Paul Taylor, Steven Mc Veigh and Darren Ford for getting this treatment over the line in a very short time fame.